Miller’s Grand Events is the name to remember for tent rentals. 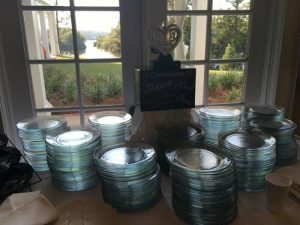 Stapleton, AL, residents and those in Daphne, Orange Beach, Gulf Shores, Spanish Fort, Fairhope and Robertsdale know we can accommodate events of every size and scope, and our affordable rental packages include installation and take down. We provide both frame and pole tents. Our event planners and coordinators can plot out the specifics of your gathering and help you determine which of our event tents is the optimal size and style. With sizes ranging from 10 x 10 to 40 x 120, no reception, business gathering, or party is too large or too small. We also specialize in providing wedding tents for beach weddings. Extra charges do apply for installing structures on sand or asphalt. 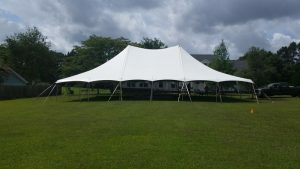 For the best tent rentals, Stapleton, AL, knows Miller’s Grand Events provides affordable solutions. Let us create the perfect venue for a memorable gathering. To make your reservation, contact us today! Call us for tent rental in Gulf Shores or Orange Beach, AL! Turn to Miller’s Grand Events when you need a chair rental for your next event. 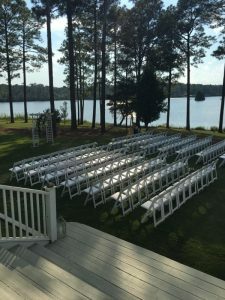 Spanish Fort, AL, Orange Beach and Gulf Shores residents and visitors know we offer affordable packages on beautiful furniture, and we can help you select the perfect pieces for your wedding ceremony or reception. 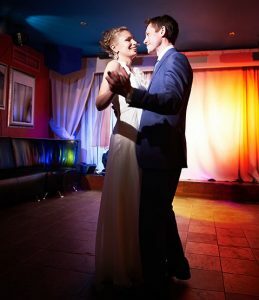 Whether you’re scheduling a corporate gathering of ten or a sizable wedding reception, we can easily accommodate your plans. Ready to complete your chair rental? Gulf coast residents know Miller’s Grand Events delivers unique solutions for seating and dining at affordable rates. Call our Daphne, Alabama location today! We are the Baldwin County Distributor for Great Western Concession Supplies. We offer supplies for Popcorn, Sno-Kone, Nacho, and Cotton Candy. 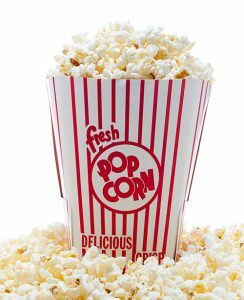 We have popcorn in pre-mixed packages, bags and boxes. For Sno-Kones we offer a variety of flavorful syrups in either gallon or quart containers. We also have sugar-free syrup available, with traditional Kone cups and straws. Our Nacho Chips are packaged in individual portioned bags, with chili sauce, both cheddar & jalapeno flavored cheese and plastic serving trays available. Cotton candy supplies consist of floss sugars in many flavors, cones for twirling, and plastic bags for storage. We also have frozen beverage mixes. Margarita, Daiquiri & Pina Colada flavors are available in concentrated form that will make five gallons of your favorite beverage. We have Popcorn, SnoCone, Cotton Candy, and Nacho Machines available for rental. We also have a frozen Beverage machine with a five gallon capacity for rental. We feature Snap-Loc Flooring. We can customize your floor based on number of guests. We have a black and white squares that offer several choices eg: black and white check, solid black, solid white,or we can create a custom floor. eg: Black center with white border. We also have a wood grain flooring if you prefer a natural floor. We have portable flooring. It provides a solid surface to walk on when the landscape is soft or wet. It is available in rolls and is vented so as not to harm lawns. Our stage is manufactured by Bil-Jax and comes in 4′x4′ squares. We can extend legs up to 24″. This is the perfect height for bands, and as a platform for speakers. We are an authorized dealer for U-Haul trucks & trailers. We also offer a complete line of moving supplies, including boxes of all sizes, packing paper, bubble wrap and tape. We sell light adapter kits for towing too! We also offer vintage and rustic serving items for your table. We have a large variety of Cake Plateaus ranging in size from 10″ to 26″. These are available in traditional, contemporary and vintage styles.